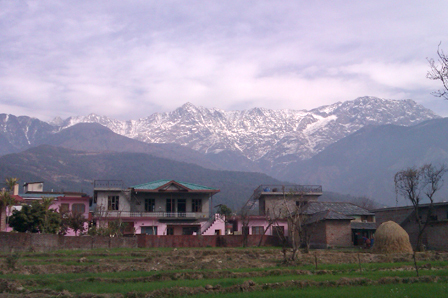 Another famous picnic spot in Dharamshala, Dharamkot is a beautiful hill station, situated on the crest of a hill, around 14 kms away from the main town of Dharamshala. 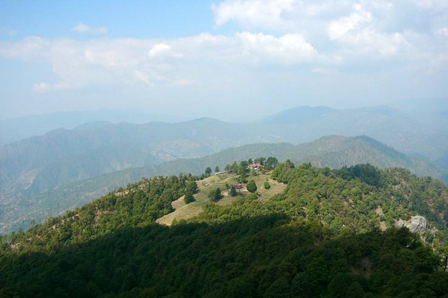 This stunning spot provides panoramic views of the Kangra valley and the Dhauladhar ranges. 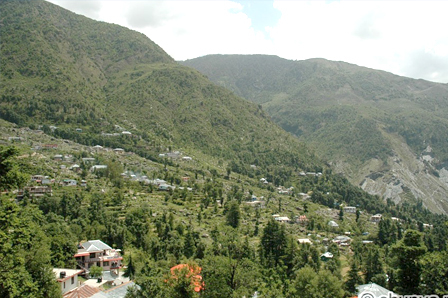 One can easily reach Dharamkot by simply trekking from Bhagsu; along the way one can enjoy the breathtaking views of the place while relishing quick refreshing drinks offered at the various restaurants. The area has been occupied by several foreigners, who live in village homes and tiny guest houses and indulge in early morning Vipassanam (meditation), which is a part of the study and practice of Buddhism. On the way to Dharamkot, one can visit the Galu Devi Temple, located amidst the dense forest of Deodar and Oak trees and seek blessings while enjoying the scenic views of the Kangra valley.